Alfaisal University, Breast Cancer Team, will be presenting their accepted abstract at the Leiden International Medical Student Conference 2011(LIMSC) on Saturday, March 19, 2011, Leiden, Netherlands. 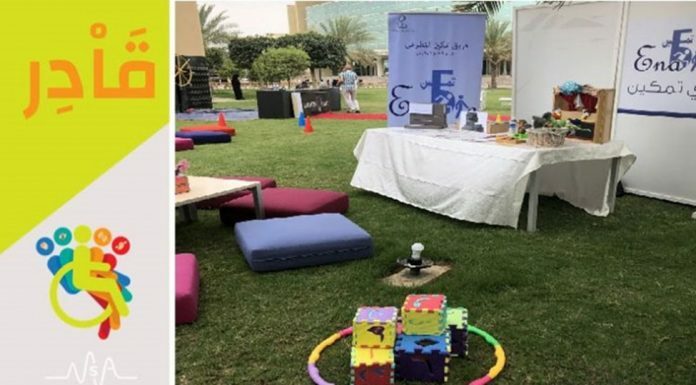 The team which consists of four medical students; Abdullah Alshammari, team leader, Akram Nurhussen, Mohannad Abousaleh and Sadek Obeidat, faculty member Dr. M. Hasan Rajab, and staff member Sondos Al-Jazairy have been actively involved in the research for more than six months. The abstract entitled “Effectiveness of an Innovative Community-Based Breast Cancer Awareness Workshop” submitted by the team to LIMSC has been evaluated as one of the 15 best among more than 600 submitted abstracts from 36 different nations. The abstract was selected for an oral presentation in the Public Health session. Members of the team were given the opportunity to apply for a travel grant to attend the LIMSC 2011. 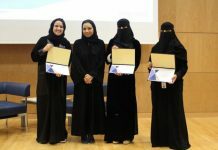 The submitted abstract was based on a very successful workshop that was designed and conducted by the team members in two locations within the city of Riyadh, Saudi Arabia, during the months of March- April, 2010. The workshop included different techniques that were designed, based on neuro-linguistic programming (NLP), which targets three types of learners; visual, auditory, and kinesthetic. A two- part questionnaire was developed and used to assess the effectiveness of the workshop in increasing the level of confidence in performing breast self-examination and to measure participants’ satisfaction. The research concluded that high level of breast cancer awareness among participants was not associated with a high level of confidence in performing breast self-examination. The workshop was effective in increasing the level of reported confidence in performing breast self-examination among participants. The LIMSC, http://www.limsc.nl/ , is one of the largest student conferences in Europe, hosted by the Leiden University Medical Center (LUMC) and organized by medical students. The seventh edition of LIMSC will take place in Leiden, the Netherlands, March 16th-20th, 2011. The conference hosts over 550 visitors and receives over 600 abstracts from 36 different nations. LIMSC aims at exposing medical students around the World to a high-level medical and biological research and to give them the chance to interact and learn from each other and from the current leading academic and research figures. Alfaisal University, College of Medicine has recently positioned itself as an international, student-centered and research-based college. Multiple publications and high caliber research have been already performed by the students, staff, and faculty. During the summer of 2010, a few of our medical students participated in well known international medical research programs in the USA and Canada. 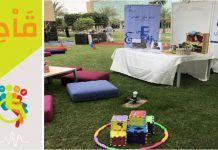 This recent achievement is in support of Alfaisal vision and mission and is a testimony to its reputation as a student-centered university. 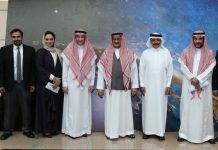 According to HRH Prince Khaled Alfaisal Bin Abdulaziz, “…The aim of this University is to provide the student with the educational level he seeks abroad, to be an example for voluntary work which the private sector can contribute to the development of our homeland, and, at the same time, to employ its abilities and research centers to serve society, and to build bridges to the most advanced international sites in educational techniques and tools.” This achievement was one of the first bridges to one of the most advanced international medical student conferences in Europe.